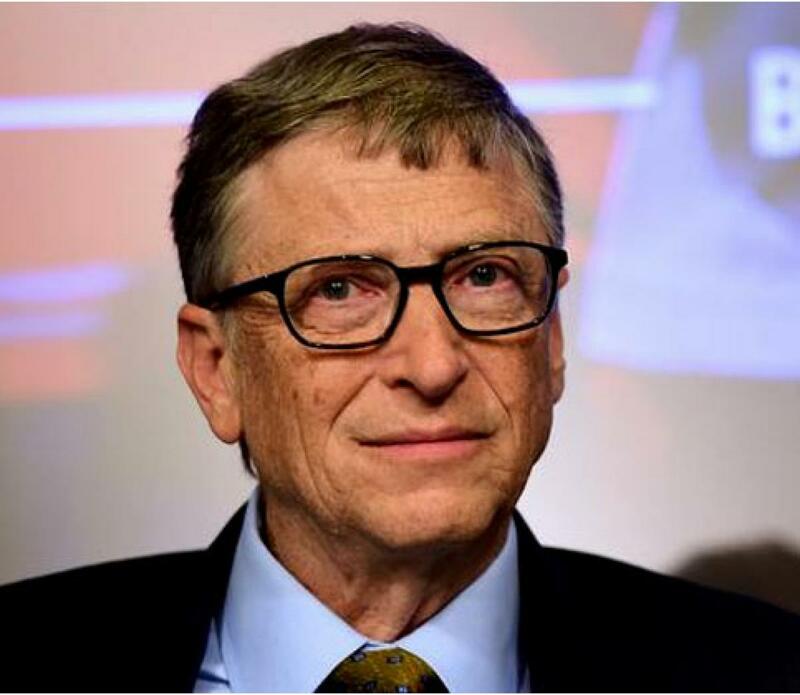 Bill Gates Tops Forbes List Of America\'s Richie Rich. Microsoft co-founder Bill Gates retains the top spot on the Forbes list of America\'s 400 richest people for the 22nd straight year with Republican presidential frontrunner Donald Trump ranked 121st with $4.5 billion. Washington: Microsoft co-founder Bill Gates retains the top spot on the Forbes list of America's 400 richest people for the 22nd straight year with Republican presidential frontrunner Donald Trump ranked 121st with $4.5 billion. While Gates' worth is assessed at $76 billion, down $5 billion from 2014, Trump's is put at $4.5 billion - less than half of what he has been claiming. In a cover story on "What's Donald Trump Really Worth? ", the US business magazine says "for 33 years, he's been building and boasting his way higher on The Forbes 400." "The most paradoxical presidential candidate in a generation", Forbes says, "claims 'I look better if I'm worth $10 billion than $4 billion'." There are four persons of Indian origin also on the list with John Kapoor ranked 194th with a wealth of $3.3 billion followed by Romesh T. Wadhwani (234), Bharat Desai (268) and Kavitark Ram Shriram (358). The combined wealth of the 400 richest people in America is $2.34 trillion, up from $2.29 trillion in 2014 and the highest ever. The average net worth of a Forbes 400 member is an astounding $5.8 billion, the highest to date, up from $5.7 billion last year. Berkshire Hathaway chairman Warren Buffett ranked number 2 is at $62 billion, down $5 billion from last year. Larry Ellison (3) of Oracle worth $47.5 billion, is down $2.5 billion from last year. Jeff Bezos (4) was the biggest gainer overall, up $16.5 billion, after Amazon reported a quarterly profit in July. Facebook chief executive Mark Zuckerberg (#7), worth $40.3 billion, made it into the top 10 for the first time ever. Larry Page of Google with $33.3 billion is ranked tenth.